Yesterday I posted about the importance of not suppressing trauma. So, today, I want to talk about indulging the feelings related to a past trauma or being attached to past trauma. Now, I hesitate to talk about this, because it can easily be misconstrued. I would NEVER put a timeline on any person, because there is no “right or wrong” amount of processing time. It is very individual. But, at a certain point, it may be that even you, yourself, feel that you have over identified with a specific trauma or a series of traumas. 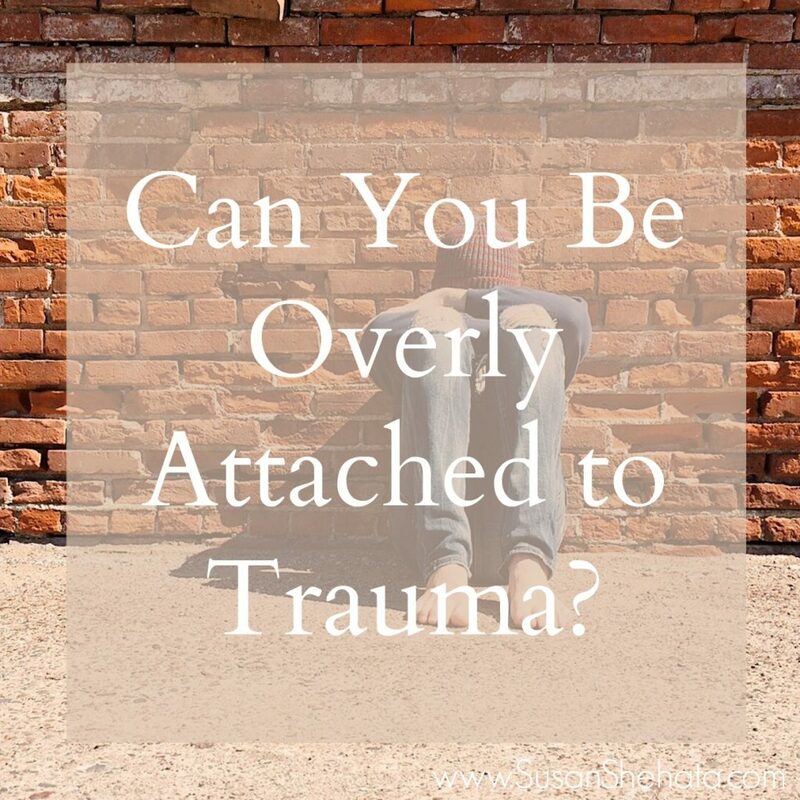 At that point, you can become trapped by the trauma and feel unable to move forward. When this happens, especially assuming there has already been a therapeutic intervention, it is sometimes because you got stuck in either a Victim Consciousness or a Perpetrator Consciousness. What that means, in a nutshell, is simply this: An incident occurs in which you are, or perceive that you are, either the victim or the perpetrator (or both). To move forward, in a healthy way, that incident needs to be processed and integrated (which, indeed, can sometimes be a very lengthy process). If you do not do that process, you risk getting stuck in the “story” or the “consciousness” of your actions, and you repeat the cycle of either being the victim or perpetrator, going forward, for years to come. Sound familiar? This is SUPER common! To break this cycle, it often takes a deep intervention with either a lot of self-help techniques or with the help of a professional. Other times, when you are indulging, or attached to, a trauma, it is simply because you haven’t processed all of the aspects of that trauma. You may keep reprocessing one aspect of it, while totally overlooking other aspects. In these situations, I suggest input from a fresh set of eyes and ears. If you have been processing this trauma with the same friends, family members or professionals, for years, it can be helpful to see someone else, who might give a fresh perspective and identify something that you have overlooked. Finally, over identifying with a past trauma can also be a necessary survival strategy. Survival strategies, that are born from previous experiences, are important until you can replace them with strategies that are more aligned with your current situation. So how do you tell the difference between any of the above and how you might move forward? There’s not an easy answer here, because it is based on you, as an individual. How does identifying with this experience limit my life? What does this experience continue to represent to me? Who would I be if I let go of this experience? What do I feel prevents me from releasing this experience? What remains to be processed about this experience? ← Are Suppressed Traumas Causing you Pain?